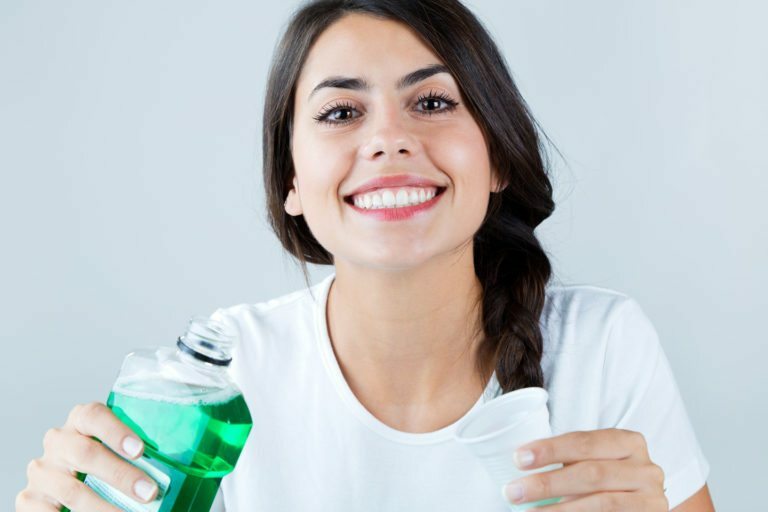 If you’d like to add a mouthwash or a mouth rinse to your oral care routine, or if your dentist has recommended a mouthwash for you or someone in your family, you’ll get the most benefit from the product if you use it correctly. Use the right amount. One way to ensure that you use the right amount of mouthwash is to use a mouthwash dispenser. These dispensers are available from a variety of sources. Each pump dispenses a small amount, ensuring that you don’t get too much, which is especially helpful if you’re supervising a child who is using mouthwash. The dispenser also helps prevent spilling and wasting the mouthwash. Depending on the dispenser, you may need a few pumps’ worth to get the desired amount for adults. Be sure to read the label on any brand of mouthwash that you choose. Different brands have different concentrations, and some may recommend that you dilute them with water. Remember, if the label does not tell you to dilute, then you may not get the full benefit of the mouth wash if the germ killing ingredients are at a lower level. It is essential to remember that no mouthwash is a replacement for the regular oral care routine of twice-daily brushing and daily flossing. So, even if your dentist recommends or prescribes a mouthwash, you still need to follow your complete oral care routine to maintain good dental health. Watch the clock. One of the keys to using mouthwash correctly is to swish it in your mouth for the correct amount of time. Read the product label; most mouthwashes recommend that you swish the product around in your mouth for 30 seconds to one minute, then spit it out.